Whatever shape our personal digital involvement takes, the above statement has become irrefutable. With an exponential quantity of global interaction on our hands, we can already identify many ways our lives have changed. However, time has yet to fully reveal the long term and unintended impacts of technology, known as “drip effects” (Peter Skillen gives the example of cars, where their original purpose was to simply transport people places; the unexpected drip effect became the phenomenon of city sprawl and suburban life²). To us, the most thrilling aspect of this “society wide experiment” lies in education. For many years, education remained fairly static. Professors of education could share similar concepts and resources for decades, with little deviation. Sure, the pendulum would, at times, swing between such matters as phonics vs. whole language, but nothing altered too radically. Now, all that is changing thanks to technology. It’s not just social media platforms that create customized professional development for teachers. It’s not just cloud storage like Google Drive that foster global collaboration. It’s not even just Youtube videos that provide instant tutorials for every topic under the sun. It’s a revolutionizing and unexpected drip-effect: the manner in which teachers are pioneering new practices. Since even those who graduated college 5 years ago were unlikely to have possessed a textbook on the benefits of Twitter in the classroom, teachers are tinkering and experimenting with new resources themselves–learning and growing right alongside their students! This kind of pioneering requires teachers to share their personal, authentic, and vulnerable learning processes–the out-loud wondering, the messy brainstorming, the trial and error, the failed projects–all are brought front and center in the classroom. What is the result when students watch adults experience genuine learning? In the “Pencil Metaphor” below (as shared in other posts), the erasers, ferrules, and hangers-on may fear that exposing their limitations could result in a loss of respect, productivity, or control. The the rest are discovering the true results: strengthened relationships as students see their teachers as more human; heightened motivation as students are inspired by what lifelong learning looks like; and abundant empowerment for everyone in an atmosphere where it is safe to experiment, fail, discover, and grow. Such common sharing and learning is also reinforced by the findings of vulnerability and shame researcher, Brene Brown, when she describes the necessary shift in education and business alike, “from controlling to engaging with vulnerability–taking risks and cultivating trust”³ (p. 209. See her terrific manifesto for leaders here). I was always surprised at how much one phrase delighted my students: “I don’t know.” Giggles and slightly dropped jaws would consistently ensue, followed by profound discussions on whether I should find out myself (while modeling to them), or whether they could help me figure it out. My most carefully crafted inquiry questions rarely elicited as much engagement from my students as those three words. Similarly, I once attempted to create a DIY interactive whiteboard with a Wii remote–a venture that ultimately proved completely ineffective. Though one might expect that students would respond to such failure with scorn, my students were keenly supportive through every step–and in turn, showed increased willingness to try and share new ideas themselves. Jon Bergmann: Within a couple years of Youtube’s debut, Jon wondered what would happen if he gave his lessons in video format as homework instead of teaching them in class. The result has been the Flipped Class Movement. Edna Sackson: Australian educator and blogger of WhatEdSaid, Edna shares her school’s journey toward effective inquiry. Her post on 10 ways school has changed particularly demonstrates her dedication to using technology to empower learning. Paul Solarz: Paul maintains the blog What’s Going on in Mr. Solarz’ Class? where he shares his abundant classroom experimentation and success with technology, including student blogging and Passion Time. Numerous other educators in my PLN who daily share their triumphs, trials, and resources on Twitter. Trying new technology to improve your classroom is risky. But even if the intended goal fails, the drip effect of being vulnerable with your students and allowing them to watch you authentically learn is priceless. Brown, Brown. Daring Greatly. New York: Gotham Books, 2012. Print. We know actions speak louder than words. But some simple, carefully-chosen words that lead to exemplary action can speak volumes, too. This is especially true for teachers. The dialogue on “digital divides” is extensive with regards to student learning and accessibility. But what about digital divides for learning and accessibility among teachers? When I graduated from college in 2009, I had never heard of concepts like PLN’s, teachers using Twitter professionally, or encouraging elementary students to create digital portfolios with blogs. 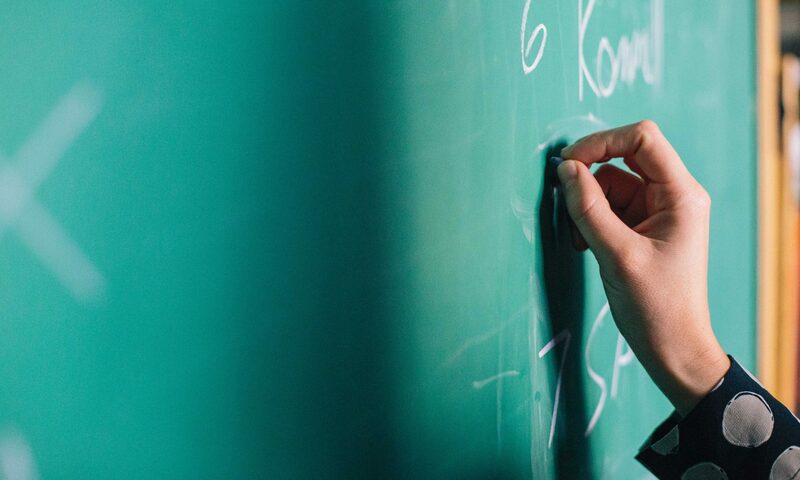 When I began teaching at a fairly new school filled with other recently graduated teachers, our video projectors were as high-tech as it got–though most classrooms still had overhead projectors, too. And when I finally began to explore 21st century educational technology years later (social media in particular), I discovered a rather counterintuitive pattern: despite being raised with the internet, younger teachers as a whole are not the fluent edtech masters one might expect. The more I started to catch up on edtech, the more aware I became of this pattern. 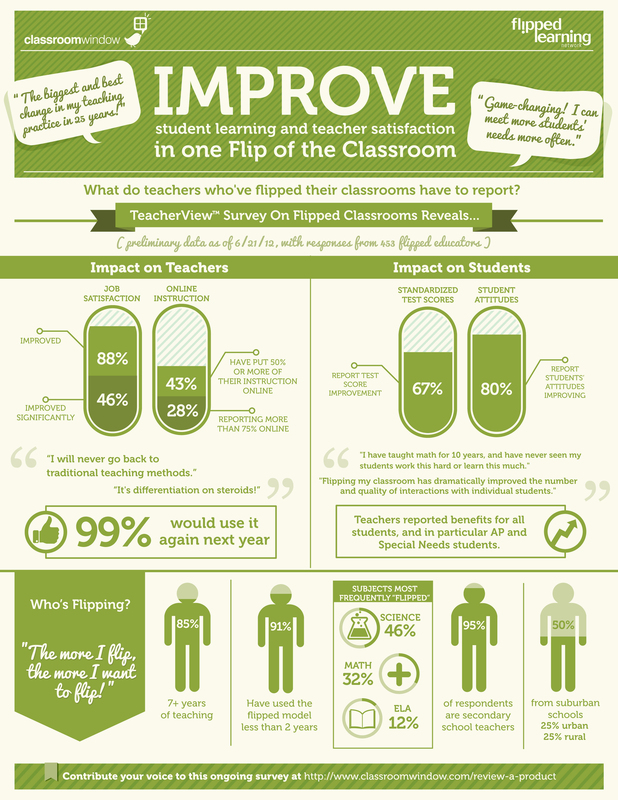 For example, as the Flipped Learning Network has gathered statistics on flipped classrooms, it has shared findings using various Infographics. The one below states that 85% of teachers flipping their classrooms have at least 7 years of experience; another shows that for 46% of teachers polled, that number jumps up to 16 years! To an extent, the shortcomings of collegiate teacher prep makes sense. As a recent Huffington Post article points out, college in 2005 was dramatically different from today (ie, neither MacBook Pros nor Twitter existed yet, and Facebook was still limited to college freshmen). Even the professors were unfamiliar with rapidly evolving educational technology tools and practices. Meanwhile, teachers whose careers were already established when such tools debuted became the prime candidates for becoming the digital literates in the field. Thus, I would contend that older teachers are even more likely than younger ones to integrate technology in their teaching practices and professional development. So how do we close the gap of teachers who do and don’t effectively integrate technology? The above-mentioned NASBE report cites policy and institution-based solutions such as improving technology instruction at the university level, as well as implementing quality, ongoing professional development and peer mentoring. While these are sure to help address the issue, we suggest it can also be remedied when teachers take individual action. With the wealth of free professional development available online (ie, communities of teachers on Twitter that share, discuss, and support), teachers can be quickly brought up to speed on the latest ideas. Our post on ways to become a 21st century teacher has specific ideas for such action. Let us endeavor to close any digital divide that arises to strengthen our global community of teachers and learners!